Read Across America is one of the most exciting events in the K-2 classroom. It’s that time of the year when students fall even more in love with reading thanks to Dr. Seuss. 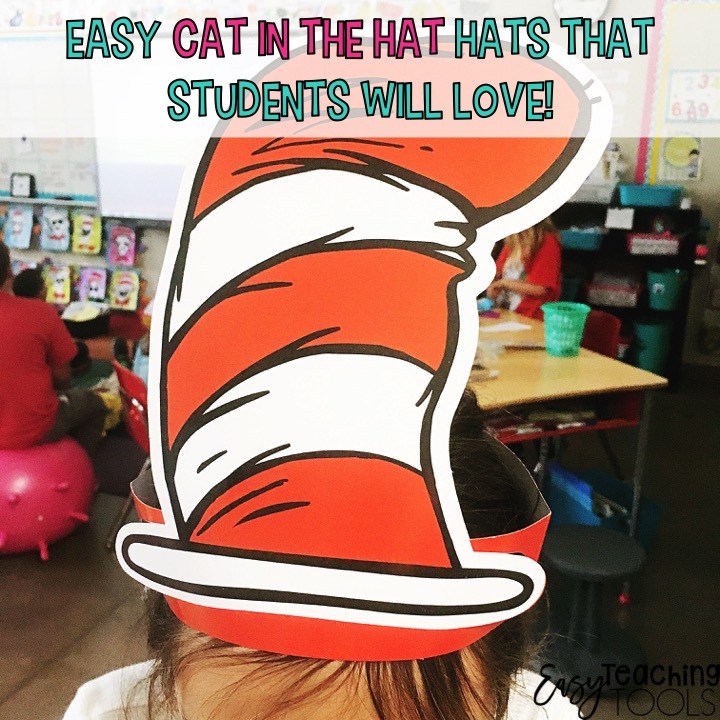 I’ve teamed up with Party City to celebrate the 113th birthday of America’s favorite author, Dr. Seuss and the “Hats Off to Reading Campaign.” I’m sharing 5 ways to celebrate Read Across America in your class that your students will be sure to love! 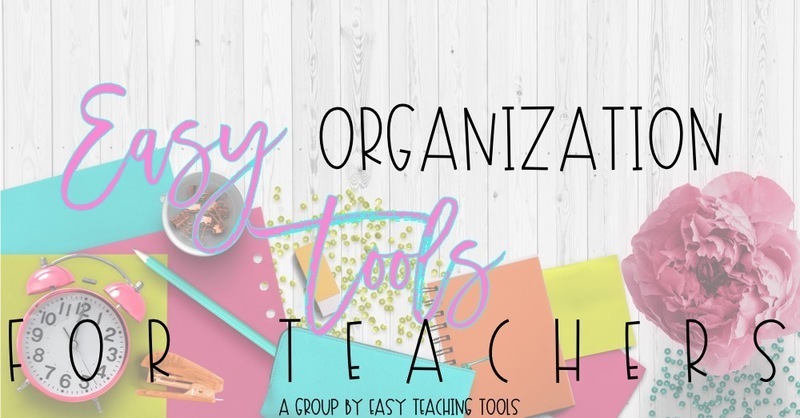 Although I was given these items for free, I only share classroom resources that I truly stand behind. I have also included a few Amazon Affiliate links where I’m compensated a small fee for sharing the items with you. 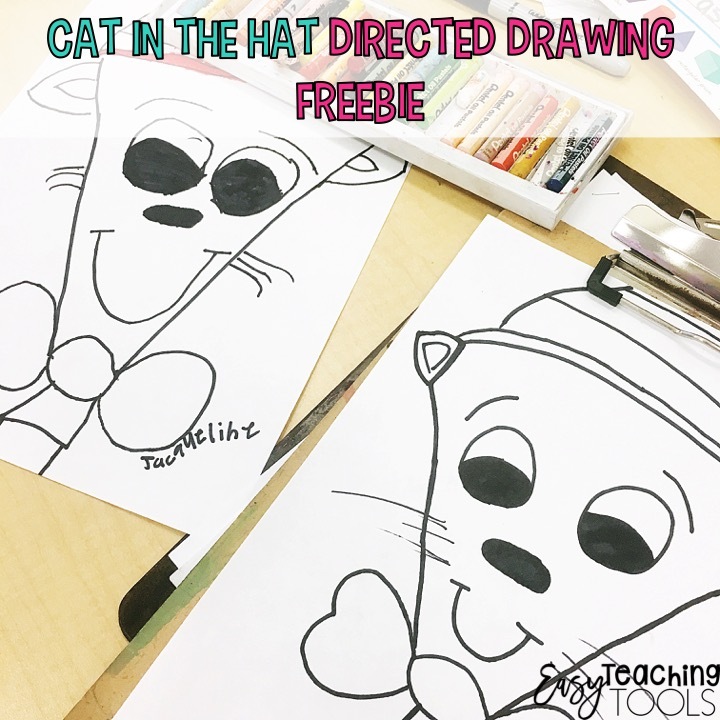 I’ve done directed drawings with K-5th and there’s no right or wrong way to do it. 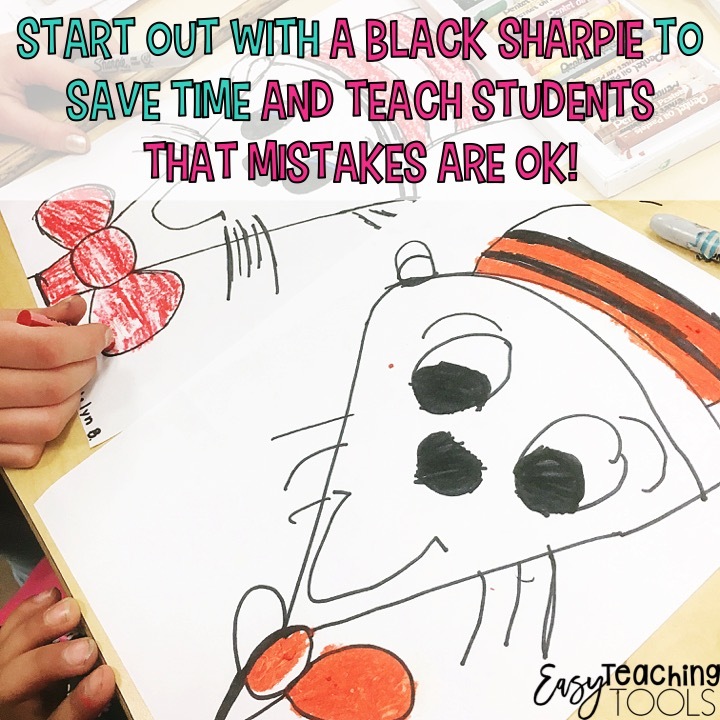 I always start with a blank piece of paper under the document camera and the students listen to my directions and can look up at mine to make sure they’re on the right track. Here’s the tutorial! 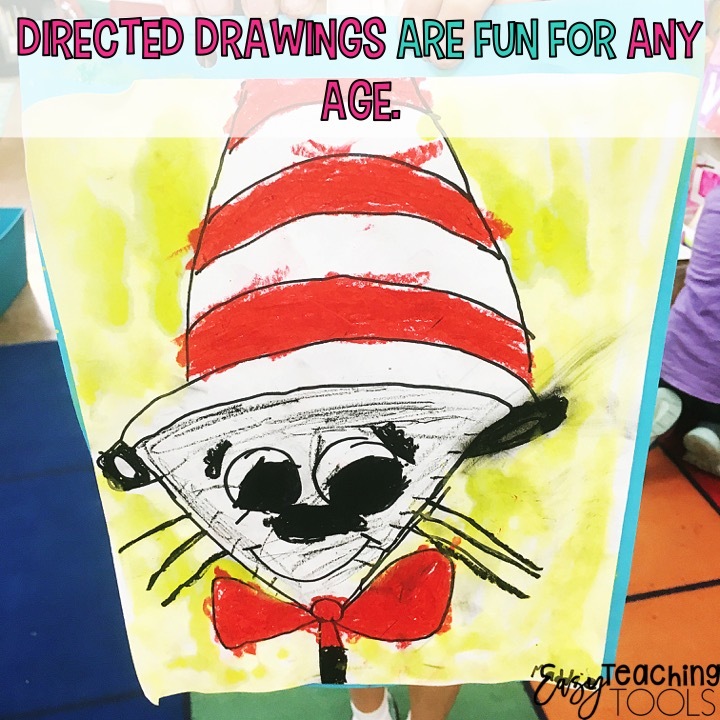 Teacher Tip: Instead of having everyone ask, “Like this?” or “Is this right?” Every few steps, just say, “Show Me” and the students will hold up their art for you to quickly glance at to make sure that the drawing isn’t too small or too big. I love how oil pastels look so students colored their cat. I set up watercolors around the room and students went to the station with the color of the background they thought would look best. While the paint dried, we watched The Cat in the Hat and cleaned up the room. When the short movie was over, we hung up our art on our memory books. Next, we came together as a class and created a circle map with adjectives to describe the cat. 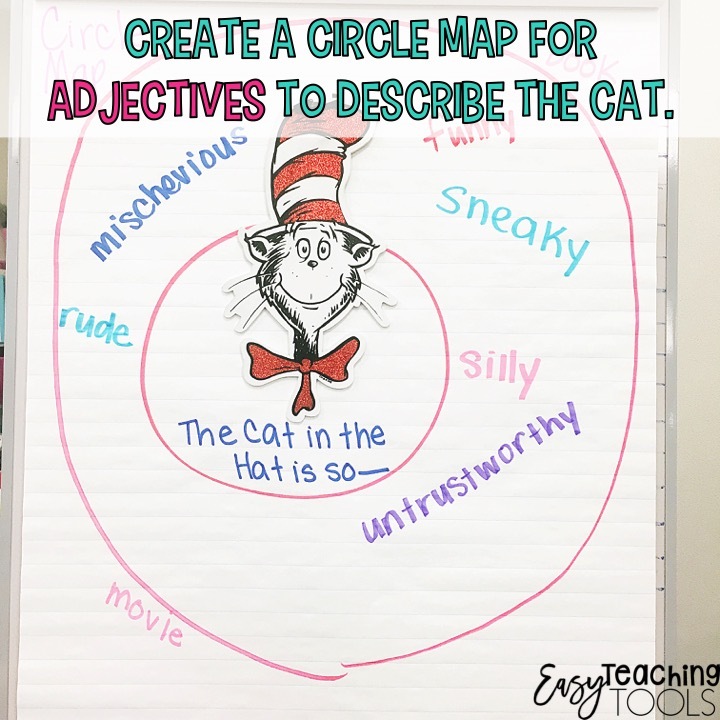 To extend this, you can have your K-1 friends finish filling in the sentence on the circle map and include because______ or your older students compare and contrast the characteristics of two different characters from the story. 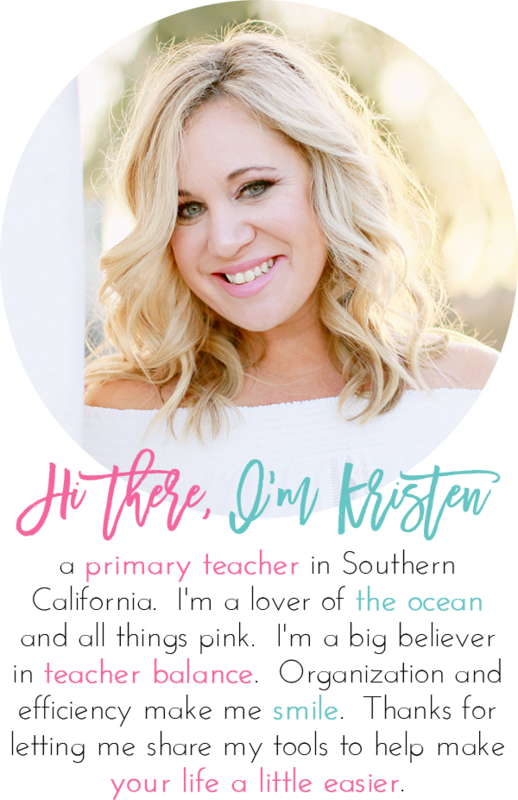 I’ve got the writing templates below! 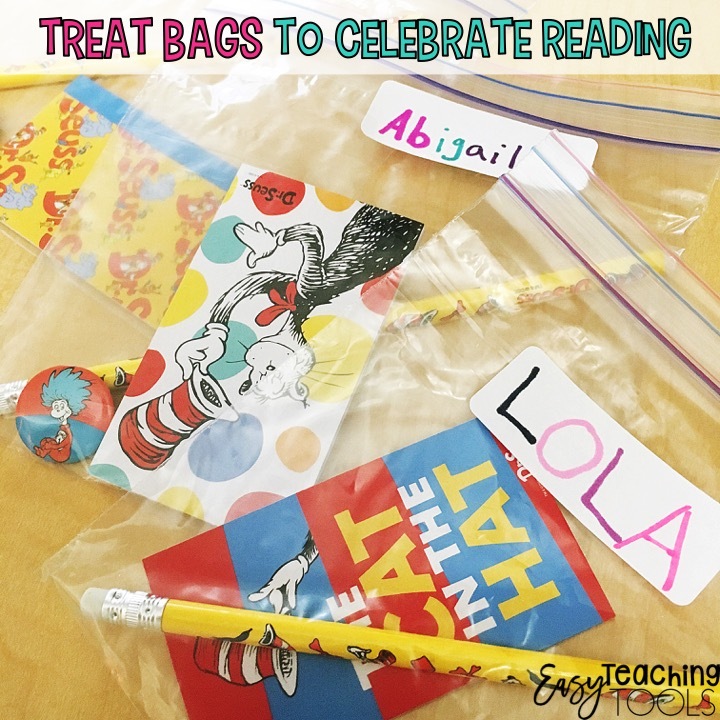 Another fun way to celebrate Read Across America is with easy-peasy treat bags filled with your students’ favorite Dr. Seuss items. 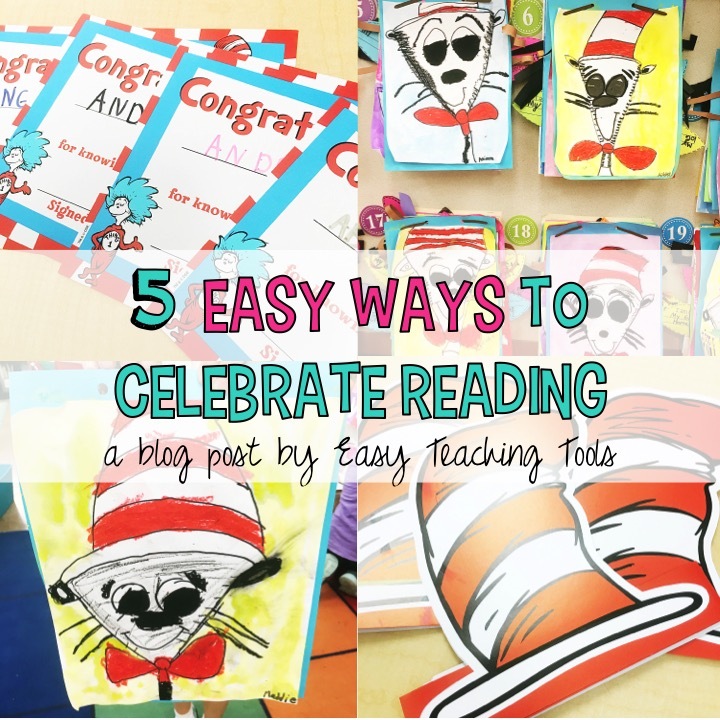 I love that Party City’s Party Kits are an easy and stress-free way for busy teachers and parents to put together a Dr. Seuss celebration! I had a few older students throw these together in 20 minutes, assembly line style! They wrote each student’s name on a label in rainbow colors and added a pencil, notepad, and button. 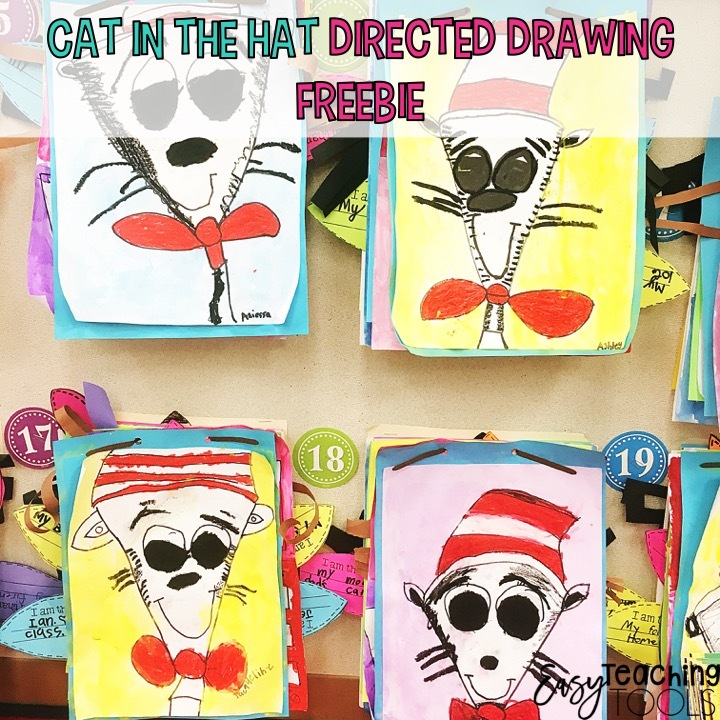 In the past, we made Cat in the Hat hats with sentence strips and construction paper. 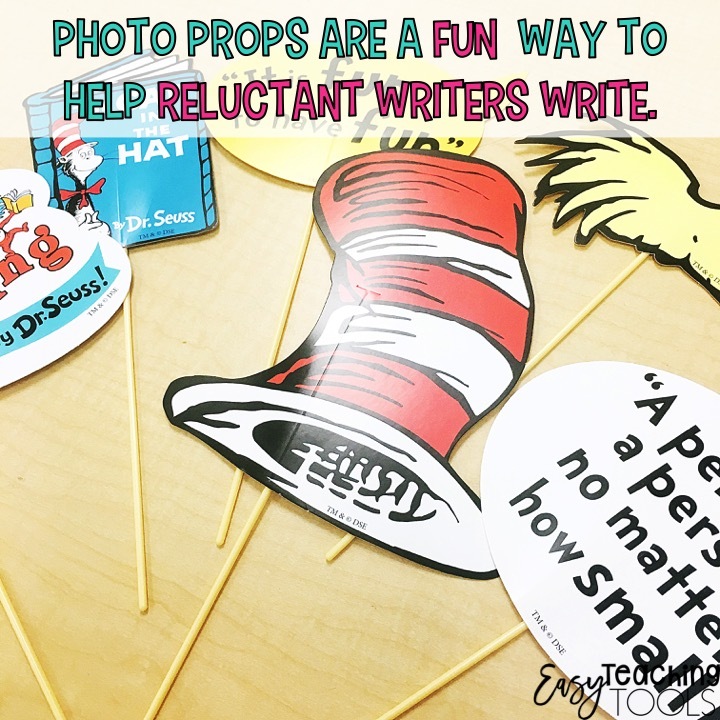 You can also use these adorable pre-made ones that my students said were very fancy and realistic! 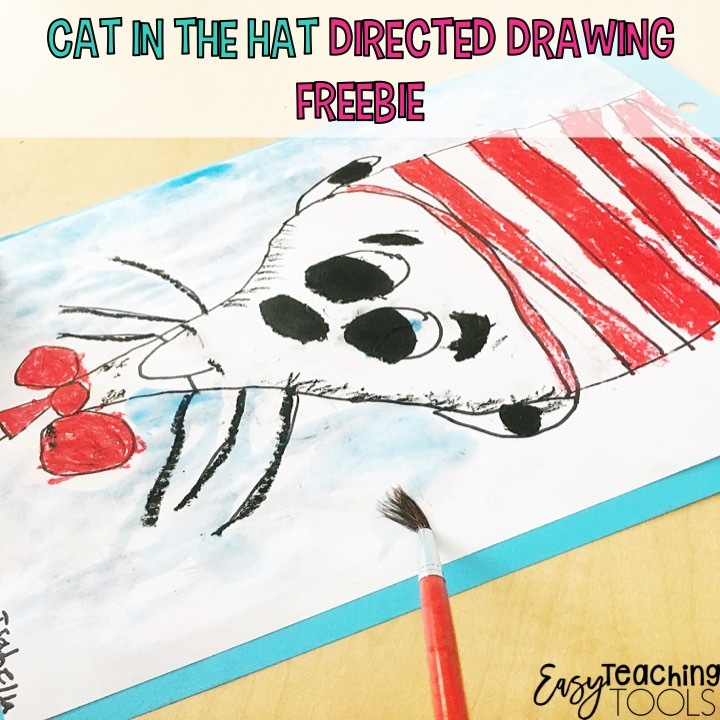 Looking for more Read Across America ideas and 5-minute oobleck, click here! From decorations and serveware featuring all your favorite characters, to costumes and accessories (including the iconic red and white hat)–Don’t just throw a party, Throw a Party City Dr. Seuss Party!